Dietician Sophie Medlin caused a stir on social media recently when she claimed on the BBC’s Victoria Derbyshire programme that it was hard to make vegan diets safe or adequate. Her claims came in for strong criticism, with some suggesting it was perfectly feasible to make a vegan diet work. We spoke to Dr Laura Wyness (PhD, MSc, BSc, RNutr), a leading nutritionist who regularly provides expert advice to supermarkets and food manufacturers, to find out where she stood on the debate. Dr Wyness has written extensively on the subject of vegan diets and even given nutritional advice for the Daily Mail and several industry publications. Recently, she was featured on BBC2’s ‘The Food Detectives’. Could you give us a quick overview of your experience in the field of nutrition and your areas of expertise? I’m a Registered Nutritionist with a background in public health nutrition. I studied Nutrition at Aberdeen University, which is where I also did my PhD looking at severe malnutrition in adults. I’ve also undertaken extensive research on food and health policies, diet during pregnancy and the diets of older adults. In terms of consultancy projects, I have worked with a variety of supermarkets and food producers such as Sainsbury’s, along with rapeseed oil and vegetable producers. My role has been to help with product development and ensure accurate labelling and nutritional messaging in any product materials. 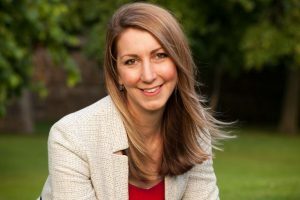 I recently started my own consultancy – Nutrition Research & Communication www.laurawyness.com – offering my expertise to food companies and providing insights and talks on nutrition and healthy eating. Having researched and analysed vegan diets at length, why do you think they are perceived as ‘unsafe’? From the outside looking in, vegan diets sound healthy and seem to be considered healthy by association alone – rather than facts. However, it can be quite challenging to ensure you are eating a healthy vegan diet that contains all the essential nutrients your body needs. You can have healthy and unhealthy vegan diets – but this is equally as true of non-vegan diets. Studies show vegans are at a higher risk of having inadequate blood levels of vitamin B12, vitamin D, long-chain omega-3s, calcium, iron, zinc and iodine. This can have serious health implications – for example, iron deficiency can lead to anaemia, fatigue, a weak immune system and even complications affecting the heart and lungs. A lack of vitamin B12 can also lead to anaemia and lasting damage to your nervous system, while inadequate calcium can result in poor bone health and a higher fracture risk. This is why vegan diets are sometimes thought of as ‘unsafe’. That’s not to say you can’t find alternative vegan sources for these nutrients. You can, but it requires a strong awareness of the ingredients needed to create healthy meals and snacks. Without this knowledge, you could easily encounter nutrient deficiencies and become unwell. What can vegans do to overcome this challenge? The good news is there are lots of foods which help vegans obtain essential nutrients. Green, leafy vegetables, chickpeas, lentils and dried apricots contribute to iron intake. Kale, dried figs, chia seeds and almonds provide calcium and vegan alternatives to milk and yoghurt, while breakfast cereals and breads are often fortified with nutrients such as vitamin B12, vitamin D and calcium. These foods provide a range of textures, colours and tastes – which is important to emphasise since vegan diets are often wrongly perceived as not having much taste or variety. My current favourite vegan snack is mango and avocado salsa with lime and coriander spread on wholegrain toast or rice crackers. What do you think to the claim that ‘most people’ following a vegan diet would have to take supplements to attain essential nutrients? I agree with this assessment – but again, it’s not exclusive to vegans. Even people who eat meat and dairy can struggle to ensure adequate intakes of certain nutrients – recent data from the National Diet and Nutrition Survey (NDNS) shows that 48% of girls and 27% of women have iron intakes below the lower reference nutrient intake (LRNI). Those on a vegan diet face even more of an uphill challenge and should consult a nutrition specialist if they’re deficient in this area. They may be prescribed iron supplements by their GP, but I’d advise they take these with or shortly after a meal to reduce any potential side effects such as constipation or heartburn. Whether you eat a vegan, vegetarian or omnivorous diet, it is advisory to take a daily vitamin D supplement and possibly an omega-3 supplement. Around one in five people have low vitamin D levels and the Government advises adults and children over age one to take a daily vitamin D supplement of 10 mcg, especially during winter. Are there any particular supplements you would recommend? I would absolutely recommend a vitamin B12 supplement for vegans and this view is endorsed by The Vegan Society. The main dietary sources of vitamin B12 are meat and dairy foods, which of course vegans don’t consume. Omega-3 supplements are definitely worth considering too, particularly for vegans. Although there are vegan sources of omega-3 fatty acids, these don’t include the long-chain omega-3 acids EPA and DHA, which are commonly found in oily fish and are linked to eye health, brain function and heart health. Do you see any potential issues for personal trainers or sportspeople following a vegan diet? The only slight concern I’d have would be protein intake. Proteins are made up of amino acids, eight of which are essential to adults. Most plant sources don’t provide all of these amino acids, with the exceptions being quinoa, soya and hemp. However, eating a variety of plant foods, such as beans, peas, lentils, nuts and wholegrains, should provide all the amino acids you need. There seems to be an increasing number of professional athletes who are vegans, so it’s possible for sportspeople to perform at a high level on vegan diets. However, it’s likely that top athletes will have a team of health coaches and nutritionists on hand to calculate their nutritional consumption and advise on daily food intakes. For your average fitness enthusiast or amateur sportsperson, they’ll have to educate themselves and do some research to ensure they’re eating a healthy, nutritious vegan diet designed to achieve their goals. What are main advantages of a vegan diet over non-vegan or vegetarian diets with regards to fitness and health? I wouldn’t say there are any distinct advantages. A vegan diet is linked with a lower BMI, a lower risk of heart disease and some cancers and it can help control blood sugar levels and reduce the risk of type 2 diabetes. However, these benefits are also seen with diets that are mainly plant-based and low in meat, added sugars and refined grains. The healthiest diet may be a ‘flexitarian’ or ‘reducetarian’ diet’, which is a plant-based diet with the occasional addition of meat. A good start point for this kind of diet is to commit to one meat-free day a week and go from there. In your previous work, you’ve mentioned that certain individuals thrive on vegan diets. Who are these people and why are they best suited to this type of diet? Some people may be more genetically suited to obtain the nutrients they need from a vegan diet. The variety and levels of the bacteria in your gut may also influence your body’s ability to absorb or use these nutrients. While certain individuals may have a gut bacteria composition that is really well suited for plant foods, others may have a gut bacteria composition more suited for a mixture of plant and animal foods. If you decide to follow a vegan diet, it is best to do so gradually, to allow your gut microbiome to adjust. Again, it may be that a flexitarian/reducetarian diet is the best option. 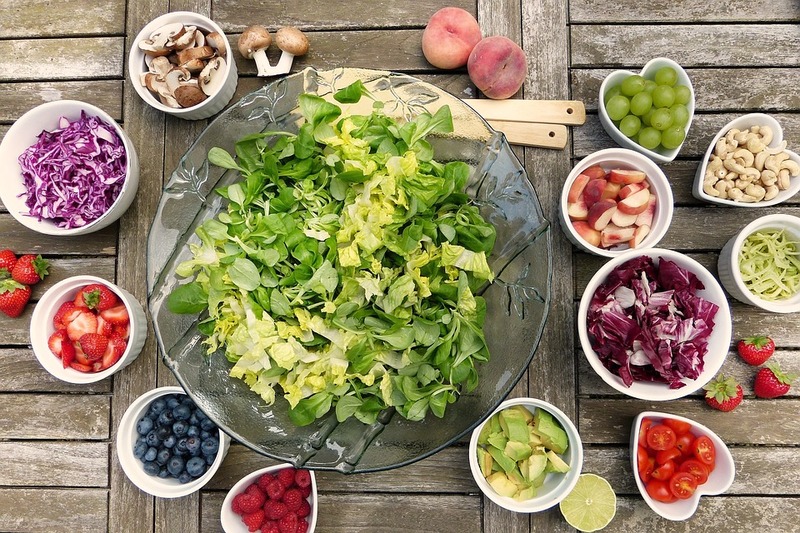 What can be done to remove the stigma surrounding vegan diets? Choosing to eat a vegan diet is a personal choice. If someone chooses not to eat meat or animal-based foods, that is up to them. Likewise, if someone chooses to eat meat, eggs, fish and dairy, that should be their own personal choice. There are clearly nutritional advantages of both diets. From a professional point of view, it’s always encouraging to see reputable industry bodies validate nutritionists’ research by supporting vegan diets. 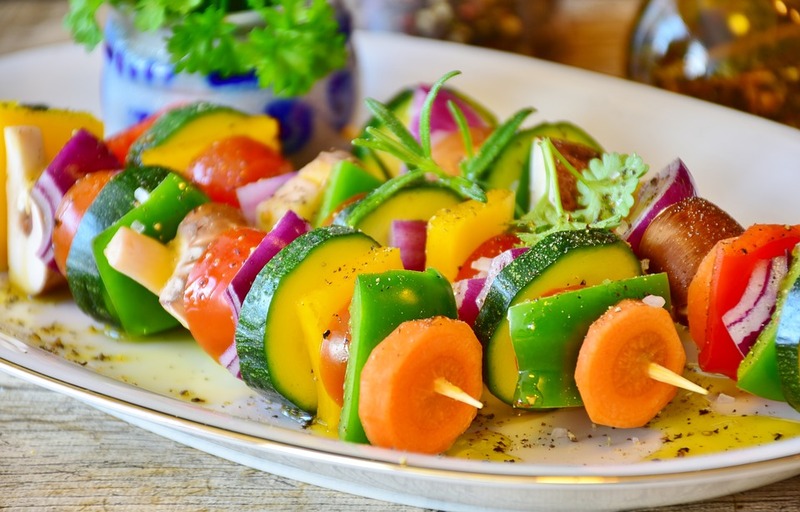 The British Dietetic Association has just confirmed that a well-planned vegan diet can “support healthy living in people of all ages”, in an official document signed by its CEO. As a Registered Nutritionist, my role is to support people with their dietary choices. There are many positive factors associated with a vegan diet and I would encourage people to eat more plant foods – especially more fruit and vegetables, wholegrain foods and pulses. For more information on how to achieve a healthy vegan diet, seek advice from a Registered Nutritionist or Dietitian, or use credible websites such as those with the ‘Information Standard’ logo. Websites like NHS Choices have useful information on vegan diets, as does The Vegan Society website. It’s also useful to read up on vegan recipes from social media sites like Facebook, Instagram and Pinterest, as well as cooking magazines. If you’re concerned about your nutrient levels, visit your GP to get your blood levels checked. This is especially important for women of child-bearing age, as good nutrient levels are critically important around pregnancy. Whether you are following or advising on a vegan diet, reading Dr Wyness’ tips should help you distinguish between fact and fiction. Provided you have attained a certified nutrition qualification as part of your personal training course, you are covered by our insurance policies if a client suffers illness or injury following advice you give relating to their diet. Insure4Sport even offers Professional Indemnity Insurance policies to protect you from legal action and you can create a tailored policy to only pay for the cover you need. ← Previous post How To Fit Fitness Around Your WorkNext post → Should personal trainers give nutritional advice?